Some may agree it makes sense to control tire size and I am sure others will not. I feel the series would benefit to have some control on this rather significant component of our consumables budget each race weekend. Open to your thoughts before posting a more specific proposal. I support ST tire rules being applied to GTS in order to increase competition and decrease cost of consumables. Being that our power / weight in GTS3 is lower than ST3, and we have less modifiers to work with, a decreased modifier should be used. This could help GTS cars crossover to TT more easily as well. Disclaimer : I run 315s on a GTS3 E46... this proposal does not directly help me in any way. I do not support tire size restrictions, especially in lower classes where sometimes having wider tire can hurt performance due to increased drag. Let the racer choose the setup they would like to use, this is not ST and I don't think many of us would like those kinds of rules in GTS. I have supported tire size restriction since i proposed it 4 years ago. Please do. As i said in the other tire size rule thread I do not support this. If you want to run in a class that has those limitations, the just go run in ST. Don't go ruining the simplicity of our rule set by trying to turn it into a class that already exists. Just go run there. .3 mod for going above the base size. So a GTS2 car running 285 would be at 14.8 instead of 14.5. For a 3000lb car that works out to 202.7whp on 275's or 206.9whp on 285+. .3 mod for going above the base size. So a GTS2 car running 275 would be at 14.8 instead of 14.5. For a 3000lb car that works out to 202.7whp on 275's or 206.9whp on 285+. For consistency the ST/TT rule set works. Which do we care more about? Agreed. I do not support tire restrictions. This is not in the spirit of GTS rules. I run GTS2 with 285s and I race with a guy running 245s and he can beat me so I don't see the point. Restricting tire sizes would only reduce car count, starting with me. What specifically does this aim to accomplish? Would this not "favor" the lighter car at the same "power to weight"? It is very easy to over-tire a GTS1/2/3 car anyway for the typical range of weights. I do not agree with limiting tire size. As someone else suggested earlier, let racers figure out what works and what doesn’t. Leave GTS rules open, that’s the beauty of the series. Wider isn’t always better. I ran 285s on my GTS2 E36 M3 and wasn’t a fan so I’m back to 245s. In the MA region, there are cars with anywhere from 245 to 285 at the pointy end of the field and no one is complaining. Don’t over complicate the rules. In addition to my previous post, I’d like to see some data that supports a rule change like this as part of the process. Someone arguing for tire limits needs to show that there is a trend of wide tires = consistent winning in today’s GTS classes. And honestly, even if there is a trend to show, so what? GTS is an open rule set to try new things. Leave it that way. We also need to keep in mind that the series, specifically GTS2, seems to be doing well right now with lots of racers trying different set ups. Don’t throw in a new set of rules requiring many current racers to spend money and change car setup. That’s bad for business (see the GTS3 exodus to ST3 as a recent example). I do not support tire size restrictions in GTS. i support this rule. i know a few potential new racers that are contemplating gts3, but do not have the means to pay for a wide body and run big tires. the rule will reign in the wide body cars running away after mid race. i see it first hand. i run a 275 bfg and am willing to give any data i have. the advantage isnt outright speed, its tire longevity in the race. I don't support this. I understand where Luke is coming from but it seems too restrictive, its fun to have different setup options. I do not agree with this proposal as it is not within the spirit of the class. Keep the rules open and let the competitors figure out what works and doesn't. Many new racers are looking at some of the top GTS2/3 builds and saying “forget that, it will cost too much to compete with them.” Then turn to race in ST4/5 bc they perceive they have a shot with a budget build (Even if it’s not true in reality.). So I think the debate is more a matter of whether we rather keep the open rule set with tires which is likely contributing to the decline of certain GTS regions in favor of ST. Or address this so new racers feel they have a chance so GTS can stop being poached by other classes. Yea, the benefit to 275 vs 245 in GTS2 is fiercely debated. The data so far is inconclusive. But what if the trend then goes to 315 in GTS2 and on and on. I have no opinion on this. I’m just simply pointing out both sides that need to be considered. Also to be fair, there are GTS racers who moved to ST just because they saw it as relatively easy pickings since ST4 is a newer class. Rules won’t address that. From a cost perspective this rule is beneficial. From a performance perspective, I don’t think it’s clear cut. I’ve seen many cases that wider did not mean faster. GTS isn’t a budget class. So, I say leave it alone. If enough people don’t want to go that route move over to ST where tire restrictions already exist. Wider tires can provide other benefits such as heat management, but may not necessarily yield ultimate sheer speed. If the goal of GTS is really growth and competition a tire size limit should be enforced in GTS1,2, and 3. Without it a competitor with an unlimited budget can have an advantage. Every year the cost to compete will go higher and higher. That does not promote growth and competition. If it doesn't come now will it come when tires reach 12" wide or 15" wide? Or will it come too little too late? I do not support this proposal. I like the way my car feels on fat tires and frankly, I think it looks cool. GTS cars are some of the best looking and most interesting on the grid. Let's continue to be creative. 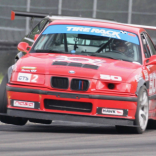 Tire size rules are needed for the good of the GTS series. A desire for a larger tire is a desire to corner faster and gain an advantage. There is no other reason. So what do you do when your competitor also moves to a larger size and beats you again? You go larger yet, or maybe you put a new set on for every single session. Or maybe you spend more on better suspension. None of this escalation does anything to improve GTS. If you want to go faster move up a class. What is the reason for objecting to a limit? Maybe those who don't want to limit tire size are the ones who have already invested to move above the proposed limit. Sorry about that. If a limit is not set, in order to stay competitive many will need to add flares, new wheels, and spend more on tires. And next they will need larger flares and new wheels again, and spend even more on tires. I may have been racing in NASA for only 2 years but I have 20 years of racing experience in other series. It became obvious to me quickly that a tire size limit is needed. I have mentioned it to those I know and our Regional Director. I didn't even know this discussion on the forum existed until a friend told me about it. It's clear that I am not the only one in this camp. Limit tires or get ready for an all out tire war and fewer cars on the track. Tire size restrictions accomodates poor people. If you're poor, GTS, much less racing is NOT the sport for you. In all seriousness, GTS is NOT a spec series...it never was, it's original intention was a rule set based on weight/HP. Since, aero, detuning and such has created a need for rules adjustment but what's next? Size of wing/splitter being regulated? Fuel tank size being regulated? Octane restricted to 93? How far do you want to take these "restrictions"? Seems a crappy road to travel down to me...KISS. This is not specifically aimed at you Jeff but your response is similar to others so I thought I would repsond to it since you have been around the class since its inception. Short answer....As much change as needed without completely removing the spirit of open rule set. Even if a tire rule was added it would only be the 2nd rule change in series history. I personally feel this is far better than opening the class to makes outside of German which is also being proposed. As our German car builds advance some changes will be needed to keep the series "in check" and keep the new builds coming and not bleeding off to ST. If I was currently building a car the last thing I would want to consider is cutting my body apart and finding a way to make 285s or 315s fit in order to compete. I currently have what I believe is a competitive car (driver needs work) and found that a substantial gap was created this season with drivers moving to cutting panels and going with 315 or bigger tires. I simply can not create the mech grip needed to keep up and for drivers coming in behind me it seems even more daunting. Yes GTS is a build it big class but if there are only two cars competitive it becomes much like modified classes in CCA where there are one or two cars that run away from the field every weekend and thus the classes do not grow. Again keeping class size up without adding other makes in the main goal. Perhaps we need both but I would prefer a tire change over completely remodeling the class or losing it to ST.
GUYS/GALS PLEASE state your name, region and class when you post.